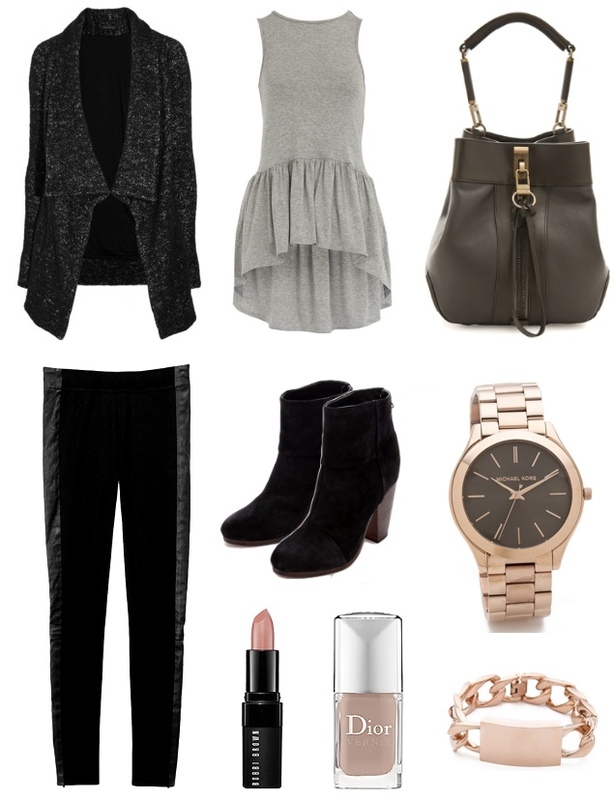 thought it would be fun to put together styled for a semi-formal & casual thanksgiving outfit. i wanted to work both outfits around something that was comfortable so you have a little room for stretch after you've stuffed yourself! i also wanted something that's would be comfortable enough to lounge in as if you were in your pj's. a nice jersey maxi and leggings comes pretty close to what i would lounge in, but you don't want to look too comfortable so i chose a maxi with a slit & leggings with leather trims to give the look a bit more edge & style. well...as much as i am thankful for many things i want to thank each and everyone of you for visiting! hope every one of you have a great thanksgiving with your family & friends! Your taste is impeccable, so of course I love everything you picked. Yes, stretchy and roomy is a must. ;) Happy Thanksgiving to you and yours! is that a blk face on that mk watch?! i have never seen this before and am obsessed with mk- (for watches) I love your taste girl. you seriously have IMPECCABLE taste. not to mention you're drop dead gorg. love your style. hm...i'm not sure if it's black or dark brown, but either way i LOVE it!